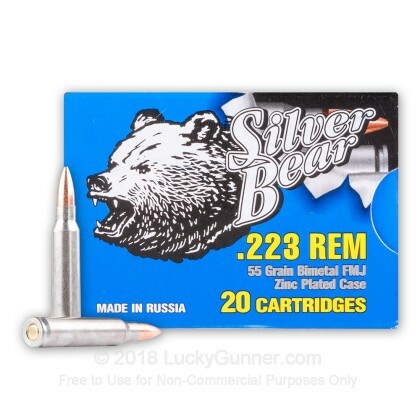 Manufactured at the Barnaul plant in Russia, Silver Bear ammo derives its name from the highly polished zinc plated steel casings used. These steel casings feature a zinc plating to prevent corrosion improving the shelf life of these rounds! 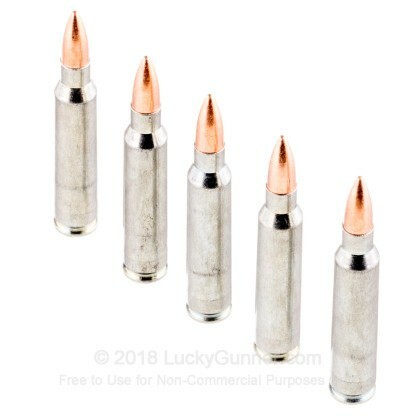 This full metal jacket (FMJ) ammo is perfect for range training and target practice at a fraction of the cost of brass-cased ammunition. Manufactured in Russia, this product features zinc plated steel-casings and is berdan-primed, non-corrosive, and non-reloadable. 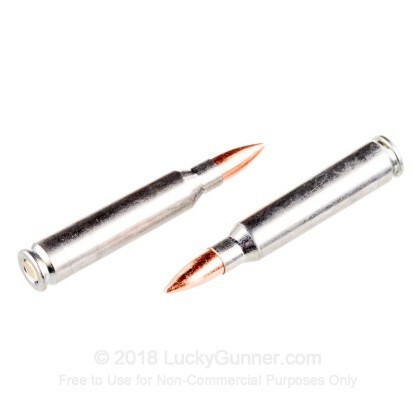 My AR's ate these up with no problems. I hope luckygunner is able to keep these in stock - and go on sale. I'd buy a case of 500 or 1000 without hesitation. In fact, I think that I like the Silver Bear better than Tula, as I think they burn a little cleaner. Gotta get some more. 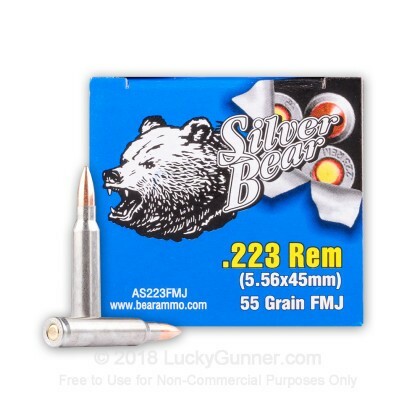 I really love Silver Bear ammo. 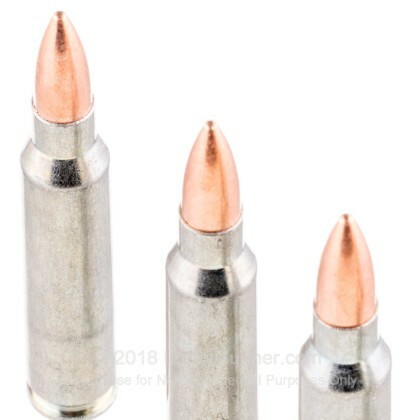 The value is great and the quality of these rounds is really high. I ran 120 rounds of this through my modified S&W M&P 15 with no problems. No failure to fire, failure to feed or failure to eject issues. This is great ammo for plinking, target shooting and training. got these to run through my Ruger ar556 wasn't sure because of some of the reviews. I had no problems at all no misfires and no jams. Will be buying again. I picked up a ton of these things, ran it through my Bushmaster and had at least one jam on each clip. 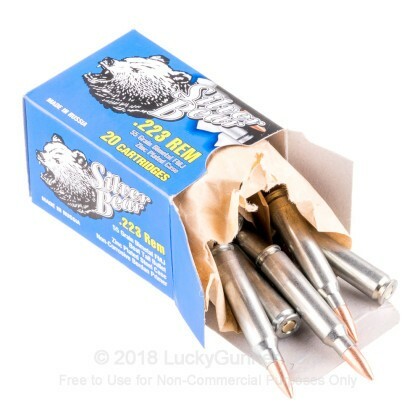 awesome ammo for the price! This is really good ammo for the cost! I have run over 1000 rounds of if without one issue and was banging the gong at 300 meters with it. Sure hope Obama doesnt cut us off from gettng it! My rifle ate this ammo like anything else. No misfires, no failures to eject or feed. I was actually surprised how much cleaner this was compared to wolf or tul ammo. The price you cannot beat for range or practice fun. Lucky gunner always great on service and shipping. I wouldnt be affraid to put this ammo in my rifle any day.